I still vividly remember the time when there was no Internet and one of my only sources of entertainment was MTV’s ‘Celebrity Deathmatch’. Of course, my mom didn’t approve, seeing I was basically a 7-year-old watching clay models of the Backstreet Boys and Ricky Martin fight to the death (complete with mutilations, stabbings, beheadings), but man, did I love every second of it. I guess, in a way, Celebrity Deathmatch is a representation of why the ’90s was the best. It was entertainingly satirical, self-deprecating, and unapologetically crude, free from the ‘millennial snowflake’ mentality that persists today. So you could just imagine how hyped I was when Ice Cube announced that he was collabing with MTV to revive the beloved Claymation series. 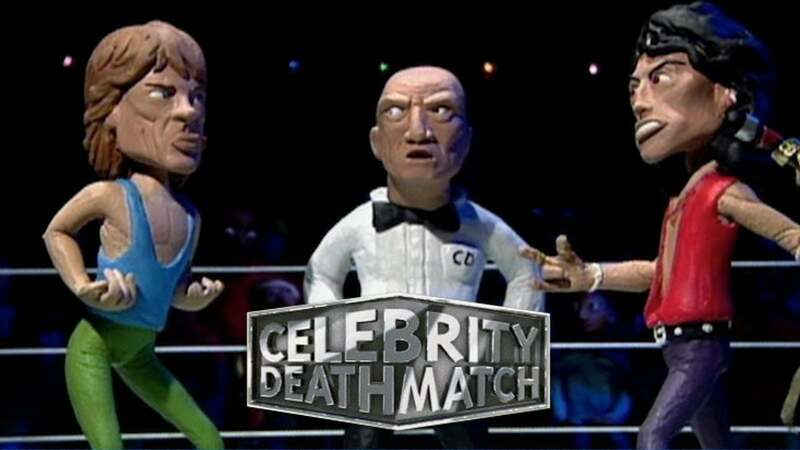 However, it isn’t clear if Celebrity Deathmatch will be seen on MTV, as the network is reportedly looking for a streaming partner to broadcast the series. Cube will also be working with the show’s OG creator Eric Vogel, so you know it’s gonna be legit. 2019 can’t come soon enough.